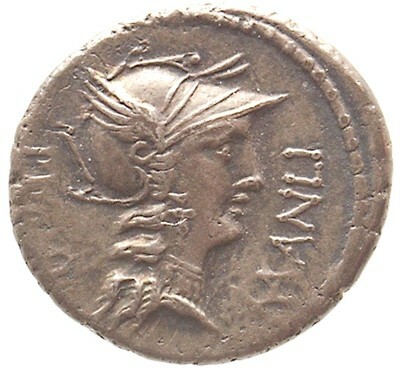 Obverse: L·MANLI [PRO]·Q - Helmeted head of Roma right. Border of dots. 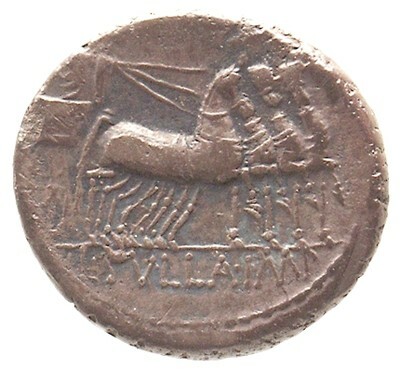 Reverse: L·SVLLA·IM - Triumphator, crowned by flying Victory, in quadriga right, holding reins in left hand and caduceus in right hand. Border of dots.